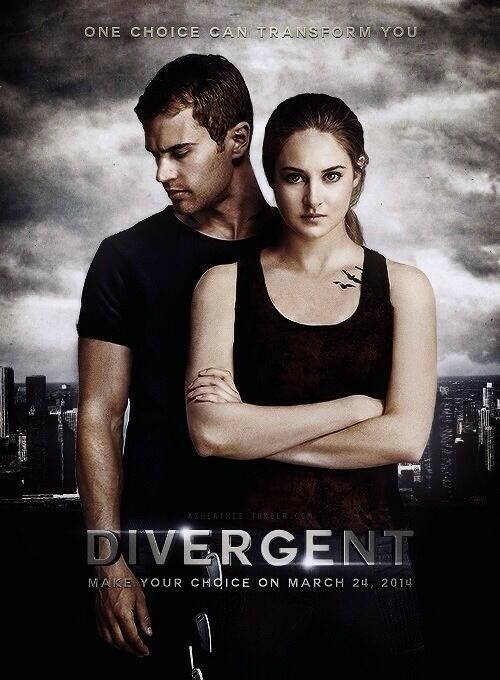 After reading Divergent I was really excited to see the movie because the story seemed perfect for a film adaptation. I’m sad to say, however, that they really missed the boat on this one. So many aspects of the book were left underdeveloped that the movie ended up a shallow, formulaic adaptation of a solid young adult novel. Problem number one for me was that the whole movie felt rushed. Instead of cutting some subplots out in order to do justice to the overall story, the makers tried to cram in every single thing that happened in the whole book. Unfortunately this left a story line that, while inclusive of all plot points, felt disjointed. The jump from climax to climax also left no time for character development. In the end we are left with a list of events that read like bullet points, executed by characters with no time to do anything but jump on trains and punch each other in the face. 1) Shailene Woodley was OBVIOUSLY wearing makeup! I know we all know that actors are always wearing makeup, but they could have made it a little more subtle. If her original faction won’t even look in a mirror, I”m pretty sure they’re not going around caking on the mascara. 2) They neglected to kill several of the people who were killed and/or severely hurt early on in the book. Don’t get me wrong, I’m not just itching for more blood and gore in entertainment. It’s just that when you omit all these deaths, you lower the stakes of the whole story. You change fundamentally the world in which the characters are living, and I just don’t like that. This movie was a missed opportunity. I’d definitely still recommend the books though! I am a huge scaredy-cat. I have no problem admitting it because it is undeniably true. I had nightmares for weeks after viewing The Ring. When I was little The Nightmare Before Christmas scared me so much that I made my parents put the VHS in a sealed box in the back of the attic. I can still barely leave a shower curtain closed or a fridge door lingering open while I browse for a midnight snack. Poltergeist almost sent me to therapy. So how I got roped into watching American Horror Story, I have no idea. Given my history with scary cinema, it may come as a surprise to hear that I really, truly enjoyed the show! 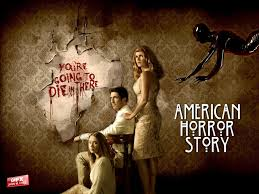 I’m only through the first season, but I can confirm to you that not only is it creepy, haunting, and very very bloody, but it is also surprisingly enthralling! It dodges the trap most horror entertainment falls into, which is trading character depth and plot development for disturbing imagery and easy pop-out scares. The thing that kept me coming back (even though I am a scaredy-cat and really didn’t want to) was that the characters were so intriguing. Jessica Lange steals the show as the creepy-demented but at times sympathetic 1950s beauty-queenish single mom neighbor (enough descriptive terms for you? My fifth grade english teacher would die if she saw that sentence). My personal favorites were Violet and Tate, played by Taissa Farmiga and Evan Peters. An enthralling and sad love story paired with some great acting really left me wanting more of these star-crossed teens. Overall, I’d recommend this show to anyone. If I can watch it without being irreversibly terrified, then so can you! PS – Hated the intro. Only bad thing about the show. So I saw Guardians of the Galaxy today. Let me just say, when I first saw the commercial for this movie, I thought it was going to be a huuuuuge bomb. Like, Green Lantern or John Carter level bomb. I mean, a talking raccoon? A tree creature that only repeats the same three words? Pink and blue and green aliens? Yikes. 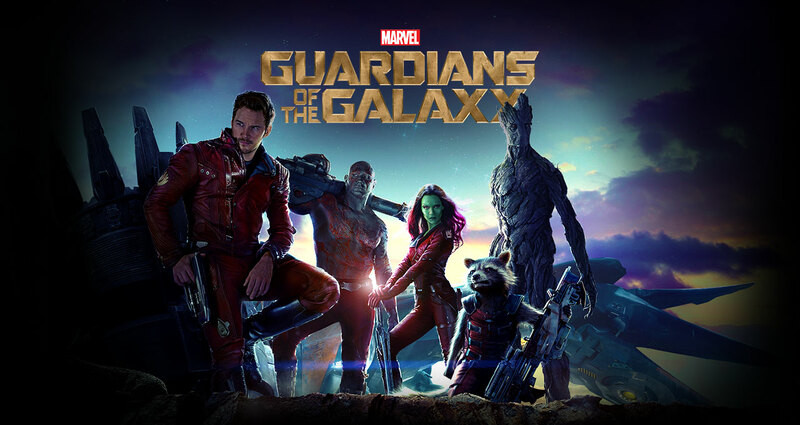 Turns out, this is one of the best ensemble superhero movies they’ve made yet. All my concerns were thrown right back at me like a pie to the face. IT WAS HILARIOUS! I laughed out loud so many times! That talking raccoon, Rocket, could’ve been really (and I mean really) cheesy, but I have to say Bradley Cooper and the animators were ON POINT with it. Rocket and Groot almost stole the show. Almost. But how could anyone really steal the show from Chris Pratt? I just love that guy. He totally carried the movie with his boyish charm, the same kind that won me over instantly with Andy on Parks and Rec. I don’t know what it is–there’s just something about him that makes you really like the guy! But the thing that really made this movie work was that it didn’t take itself too seriously. Every time it approached a point where things might get too cheesy, or too dramatic, or too grandiose, they slipped in just enough humor to remind you that they knew just how goofy it all was. I could say more, but this post is getting pretty long. 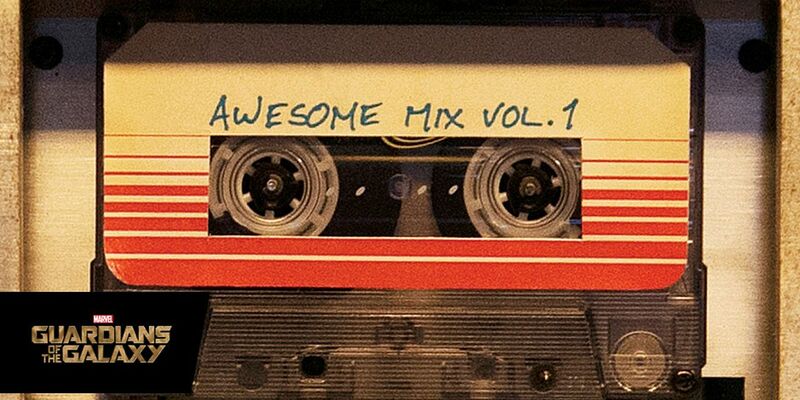 So I’ll leave it at this: Chris Pratt, adorable tree creature, AMAZING SOUNDTRACK, pretty impressive CGI, great themes about the power of friends, and abundant laughs. Luther. Sometimes over the top, and the first season’s definitely the best, but overall a pretty solid BBC crime drama. Idris Elba is great as the weathered cop Luther, who fights hard and loves even harder, but the real stand-out performance comes from Ruth Wilson, who plays insane genius Alice Morgan. The relationship between her and Luther is a lot of fun. Dawn of the Planet of the Apes. Didn’t even see the last one they made, but this one was pretty good! Very ape-heavy, in the sense that the human characters had almost no back story to speak of, but there were some pretty amazing cinematic shots in there. A horde of apes all running away from a giant fire? Awesome. Orange is the New Black. Kind of just been catching random episodes of this. Definitely interesting. Can’t really get behind Piper as a main character; she just doesn’t seem that sympathetic to me. But again, I’ve only seen a few episodes. Anyway, sure makes me glad I’m not in prison. Yikes. Homeland. O.M.G. This show is amazing. I may or may not have been marathoning it lately, and Claire Danes and Damian Lewis are NAILING it. And who doesn’t love Mandy Patinkin? Just watched the second season finale and it blew. my. mind. CAN WE TRUST BRODY? Only time will tell…OR WILL IT?! Please don’t judge how much TV I’ve been watching. It’s really less than it sounds…I hope. Stop the press! The super funny blog Am I Thirty Yet nominated me for a Liebster Award! In the interest of full disclosure, I had no idea what a Liebster was. Turns out it’s basically a chain letter where new blogs link to some of their favorite new blogs, who link to their favorite new blogs, etc. This is very exciting because it means at least one person out there is reading and enjoying this blog. And that makes me so happy! Below is some neat stuff about Liebsters and myself. 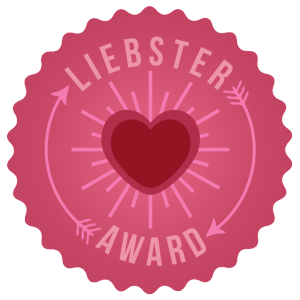 The Liebster Award is an award given to new bloggers as a way to recognize them and to discover other new bloggers and welcome them to the blogosphere. What is your biggest fear? Wow, so we’re getting real deep on the first question I guess. Hmm…well, in my more stressed out days, I used to get these sleep paralysis dreams that were pretty un-fun. So I guess being spontaneously paralyzed is definitely up there on the list. What is the best vacation you’ve ever been on? I’ve actually been a lot of places, but one of the best was Chicago with my family. We took the train up which was a fun adventure in itself, but Chicago is just such a neat place. We saw Billy Elliot, ate some delicious steaks at Smith & Wollensky, went to the top of the Willis building and walked around Navy Pier. I’d recommend it to anyone. If you could travel to one place in the world (money and time are not a problem), where would it be? ITALIA! And Switzerland. And Alaska. And Washington, D.C.
What is your dream job? Author, no question. What is your favorite post you’ve ever written? Probably the Five on Friday: Bromances post. I just really enjoyed all those shows and loved fangirling about them, haha. I always have fun with the Five on Friday posts, because I’d been keeping all these lists of my favorite stuff for years, and now I finally have an outlet to apply them to! Do you have any siblings? If so, how many? I have two siblings, who also happen to be two of the best people I know. They are both incredibly smart, hilariously funny, and way more awesome than I am. What is your favorite movie? We all know a real fan can’t pick a favorite! But off the cuff I’d recommend The Other Guys, Pride and Prejudice, The Matrix, You’ve Got Mail, and Stranger Than Fiction. For starters. 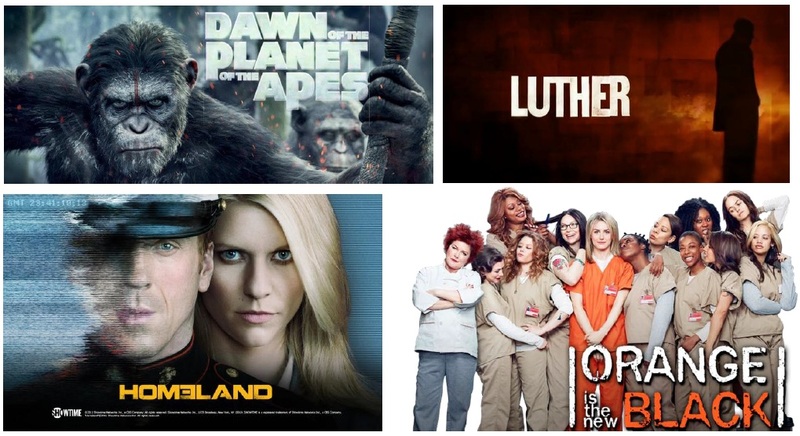 If you had to give up one of the following mediums, which would it be: Television, Internet, Books, or Movies? DEFINITELY NOT BOOKS. Probably the internet? I think learning and communicating would be a lot more difficult. That’s a tough one. What made you first start your blog? No one wanted to talk to me about television and movies as much as I wanted to talk about them, haha. I love comparing books to their movie adaptations, and making lists of the best comedies, dramas, bromances, etc. This seemed like a good platform to share those interests. What was the best gift you ever received? Engagement ring! What was your first job? Babysitter, obviously. 1. I shared a room with my sister until I got to college. It was a struggle. 2. I always turn on the lights and open the curtains or blinds when I’m in a room. 3. I’m a really bad driver. Like, fo realz. Sorry for contributing to the stereotype, ladies. 4. At some point in my lifetime, Miss Congeniality was my absolute favorite movie. 5. Caramel is my favorite flavor EVERYTHING. 6. I (my parents?) have a dog named Charlie, but his nickname is Charles. 8. The best thing I ever ate was the Steak Louis XIII at Cafe Vermilionville in Lafayette, LA. 9. I was not allowed to see Titanic in theaters because of that inappropriate car scene. 10. I’ve been to Florida, Texas, Illinois, England, France, Spain, Mexico, Jamaica, and the Cayman Islands. 11. I’ve read the first Harry Potter so many times I’ve lost count. Here are some awesome blogs with under 1000 followers. Good reads! FADE OUT – If you’re interested in the other side of all these great movies and shows, check out this blog. It’s all about screenwriting, with some good recommendations and other fun stuff thrown in. Plus a guest post from my brother here! Hugs from Home – DELICIOUS southern recipes. Seriously, check out this french toast recipe. Sooooo good. CinemaScream – Excellent movie reviews all around. A good source if you’re having one of those “can’t decide what to watch on Netflix” nights. Bitsy & Boo – A really fun, girly blog that includes delicious recipes, fashion tips, and other fun tidbits. The blogger has taken a little hiatus from the blogging world, but I’m told Bitsy & Boo will be back soon with a focus on fitness, food, and fun! just decorate! – This blog was a great pinterest find. It’s full of awesome tips about how to spruce up your space and get that professionally decorated look in your own home. So bloggers, if you’re interested, here are your 11 questions! So for anyone who’s been reading this blog–thanks. Hope you’ve enjoyed it as much as I have! 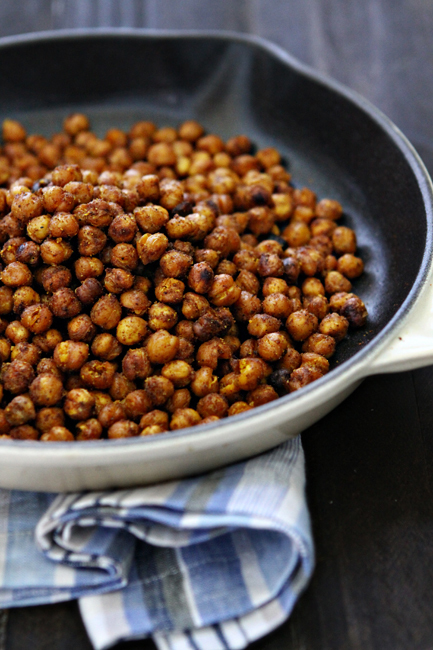 Chili Lime Roasted Chickpeas by GoodLife Eats. All you need is some chickpeas, a few spices, and about 45 minutes to get a delicious, spicy popcorn alternative! Pairs well with: My Big Fat Greek Wedding. Chickpeas are in hummus, and hummus is Greek, so I think it follows that this savory snack should be enjoyed with a Greek-themed movie. Y’all, let me tell you, this show is hilarious. And if you come from a big family –even better. This show is laugh-out-loud funny and one of my fav family movies (perfect to watch with the kids, the in-laws, or anyone you don’t want to get too PG-13 around). Overall, a heartwarming movie about the crazy things families do to and for each other.